Crisp, cool nights. Sunny, kaleidoscope days. The smell of maple in the air. Experience the color and charm of fall in New England, because theres just no better place to celebrate the season! BOSTON'S FANEUIL HALL & QUINCY MARKET: This is the best place to get the feel of this remarkable city. Take time to explore the eateries, shops, and carts of hand-crafted items. BOSTON TEA PARTY REENACTMENT: Take part in history! Dump tea overboard, interact with colonists, and explore the ships at this significant site. GREEN MOUNTAIN RAIL: A vintage locomotive runs along the Connecticut and Williams Rivers for you to see stunning colors, covered bridges, Brockway Mills Gorge, and an incredible waterfall along the way. 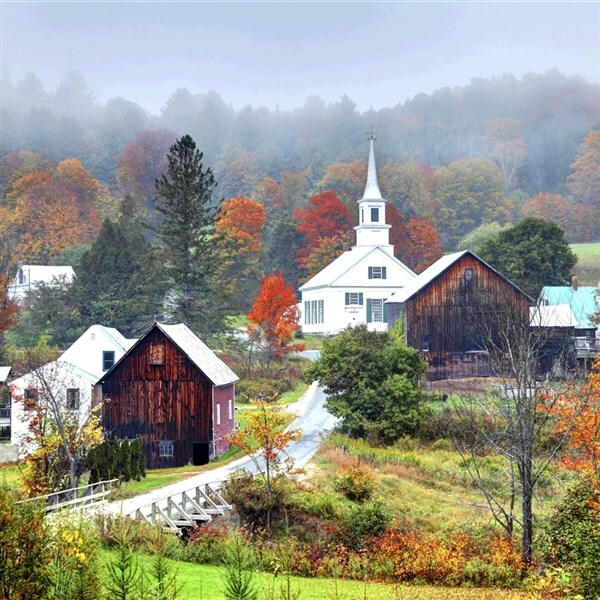 LUDLOW, VT: This charming village has been around for 150 years and it's no wonder why. With unique shops, galleries, and restaurants in the area, you're sure to find something to enjoy! WHISTLE CASTLE: Known for its 84 stained glass windows, European and Far East furnishings, and incredible architecture, this authentic 1867 English Manor is a must-see! CHAMPAGNE ON THE CHAMPLAIN: Sip champagne while you cruise along Lake Champlain, enjoying the spectacular views of the Green Mountains of Vermont and the Adirondack Mountains of New York. VON TRAPP HISTORIC TOUR: Today, you get the chance to tour the Von Trapp's property and grounds, learning all about the "Sound of Music" family. COLD HOLLOW CIDER MILL: Vermont cheese, maple syrup and freshly pressed cider -- this mill is what you see when you close your eyes and think of New England. 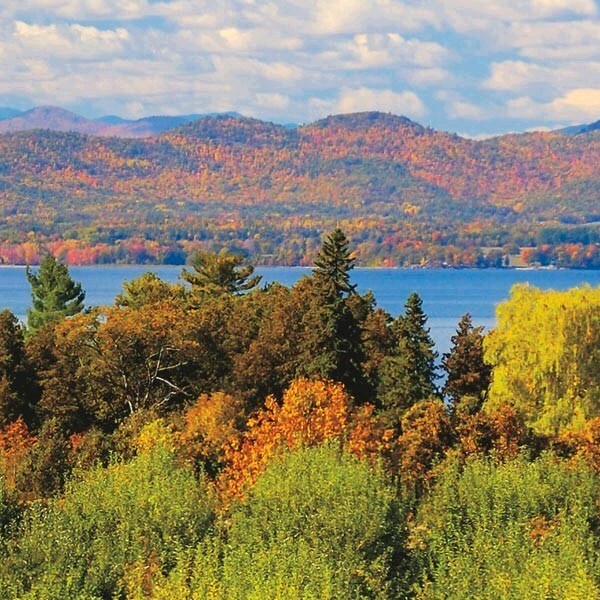 LAKES REGION: See Squam Lake with the fall colors reflecting off the water, take in the dramatic views, and learn of the history and geography in this area. MOUNT WASHINGTON CRUISE: Did you know that Lake Winnipesaukee is the largest lake in New Hampshire? Today, embark on a journey to see its 72-square-mile stretch and take in the breathtaking mountain views along the way. FADDEN'S GENERAL STORE & MAPLE HOUSE: Named New Hampshire's BEST five times, this place is famous for its delicious maple syrup! 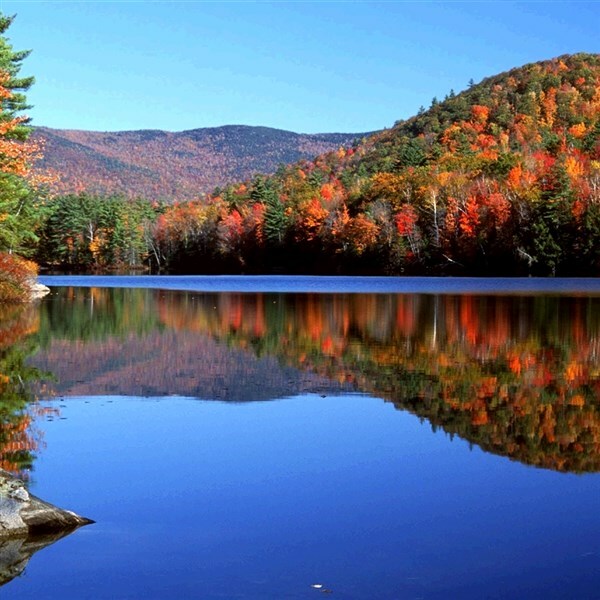 TASTE OF NEW HAMPSHIRE TRAIN RIDE: Chug through the White Mountains, with amazing foliage and grand mountain views. Enjoy samples of locally made and grown products along the way. KANCAMAGUS HIGHWAY: Travel New Hampshire's most scenic roadway! It might be the highlight of your trip. Prepare your eyes to be dazzled! ZEB'S COUNTRY STORE: Devoted to everything New England, this place houses over 5,000 items ... and the largest selection of regional specialty foods in the world! BOOTHBAY HARBOR: At the "Soul of the Maine Coast," tour the quiet coves, country roads, beautiful lighthouses, and rocky shores with a local guide and afterward, spend time in the Harbor Center's fun shops and eateries. 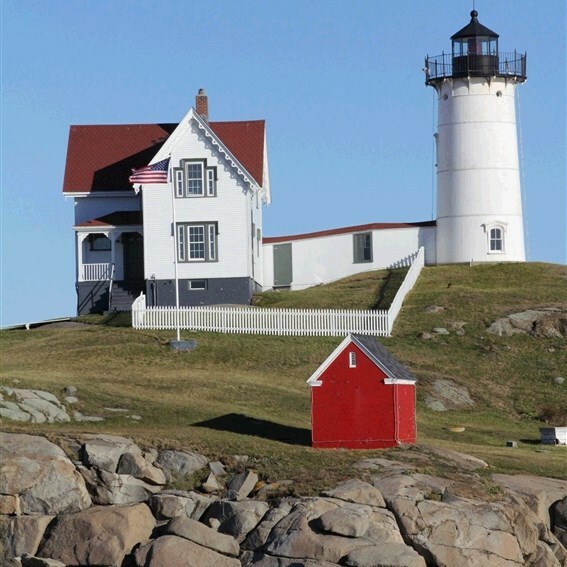 LIGHTHOUSE LOVER'S CRUISE: Cruise from Portland's scenic harbor and see the Calendar Islands, Maine lobster boats, seals, seabirds, and coastal forts. Look for the seven beautiful lighthouses dotted along the way. 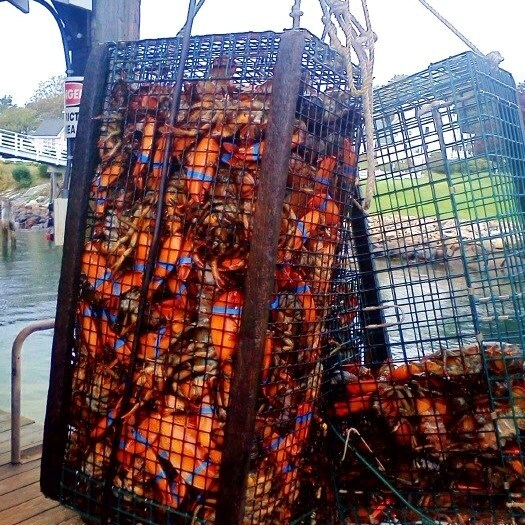 MAINE LOBSTER DINNER: Truly experience Maine with a quintessential lobster dinner. Pass the drawn butter! KENNEBUNKPORT: With a local guide, tour this area and discover its 300-year evolution. Learn about the Bush Estate, the Wedding Cake House, and visit the Franciscan Monastery. Afterward, explore the shops and galleries on the waterfront. DEPOSIT: $100 per person at time of reservation; final payment due June / July 2019. Once final payments have been received, stringent cancellation penalties apply. ACCOMMODATIONS: La Quinta Inn & Suites, Springfield, MA (1 night); Killington Mountain Lodge, Killington, VT (2 nights); Fairfield Inn & Suites by Marriott, Plymouth, NH (1 night); Hampton Inn, Saco, ME (2 nights). TOUR INCLUSIONS: Professional tour director, motorcoach transportation to airport/resort transfers, roundtrip air, hotel accommodations, luggage handling at hotels, admissions/attractions, 12 meals including 6 breakfasts, 2 lunches, and 4 dinners. ADDITIONAL FEES: Airline luggage fees and fuel surcharges, if applicable, are additional and vary by airline.